The McCord Alliance...a growing family. | Follow us on our journey through family life. The McCord Alliance…a growing family. Follow us on our journey through family life. 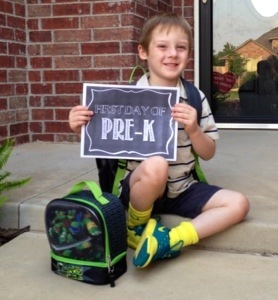 Jack started Pre-K this year! He has seemed a little indifferent about it, but after 2 days, he told me he loves it and it’s better than the red class (his 3 year old class)! And he wants to take his lunch everyday. 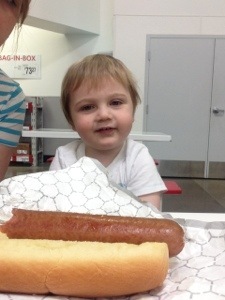 Ah…lunch and recess- his favorite things! Jack turned 4 at the end of May. He is energetic, imaginative, funny and he has the biggest heart ever. He lives in his old world and he notices things that I don’t. He play with my little ponies inside a Star Wars ship, he wears a Spider-Man mask while fighting with ninja swords, and his Octonauts play with Ninja Turtles. Jack is sharp as a tack and nothing gets past him. We really have to watch what we say and do around him! He is very quick-witted and comes back with hilarious answers and replies. He loves Happy Meals, but really only the apples and toys, snickerdoodle muffins and chocolate milk. He likes to ride his scooter, play with toys and draw. He has learned to bat his long eyelashes so he pretty much gets whatever he wants. Jack is a bright light in this world. He has an infectious laugh that just makes your heart happy to hear. He is fun-loving and up for anything. He worries about other people and always wants to make sure everyone is included. 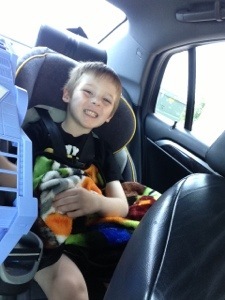 And as much as his little brother bugs him, Jack loves him very much and wants to make sure “Bukie” is always with us. I am so proud of this little guy and am having so much fun watching him grow up. It’s moving way too quickly but what an amazing journey. I love my Jackie Q and can’t wait to see what this year has in store for him! Luke turned 2 at the end of June. 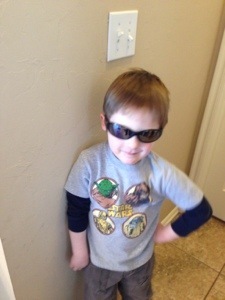 He is a big, busy two year old and embracing everything that comes with being 2. We have already experienced some signs of the beloved “terrible 2s.” He had it bad for a few days- major tantrums and meltdowns but seems to evened out for now. I feel like everyday he says or does something I had no idea he could do. At his well-child, my sister was bragging to our ped that he could count in Spanish. This was news to me, but sure enough, he can count to 10 in Spanish. The funniest part- he says,”uno, dos, taco, cinco” etc. He also can count to 10 in English. He is bilingual! He can count past 10. He gets a little hung up around 15, then just shouts out 20! he learns a lot from his big brother and can shoot a Nerf gun, breathe like Darth Vader, shoot webs like Spider-Man, and fight with light sabers. He is all boy. He loves to be outside. 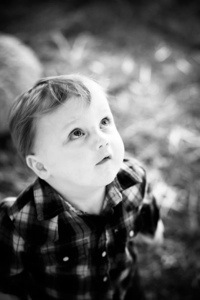 He likes bubbles, chalk, baseball, climbing the fort, swinging and his Little Tykes car. He really likes beef jerky and says, “I want jerky. Gobble gobble” which cracks me up. Apparently jerky reminds him of turkey which makes him gobble. He really loves the iPad. He can unlock it, open the app he wants and start playing, totally unassisted. He really is amazing. There is something about Luke that just warms my soul. He has gorgeous little curls that frame his head when he’s been playing hard and gets sweaty. His hair is a perfectly amazing mix of blondes and browns that I can’t pay my stylist enough to replicate. 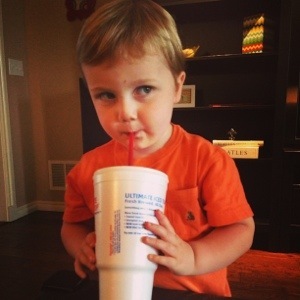 He still has sweet round cheeks and eyes, and looks over his shoulder with a mischievous little grin. He loves to make silly sounds, noises and faces. He has the softest, sweetest voice, and when he says anything with the word “momma” in it, I just melt. 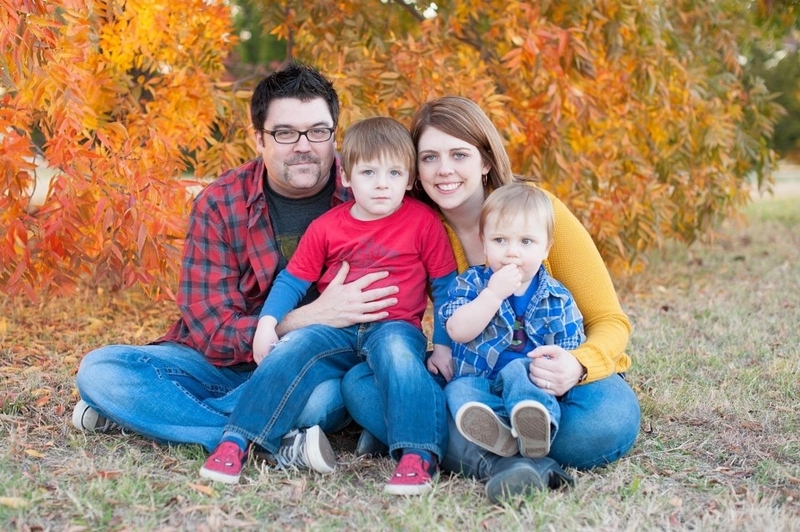 Luke weighs 36 lbs and is 38.5″ long. He is 100% in all categories. He got glasses just before his second birthday and is absolutely adorable in them. Fact. We actually cannot go anywhere without someone telling us how cute he is. He loves his brother and just wants to play with him, although Jack wants nothing more than for his little brother to leave him alone. Luke just chases after jack and does everything Jack does. 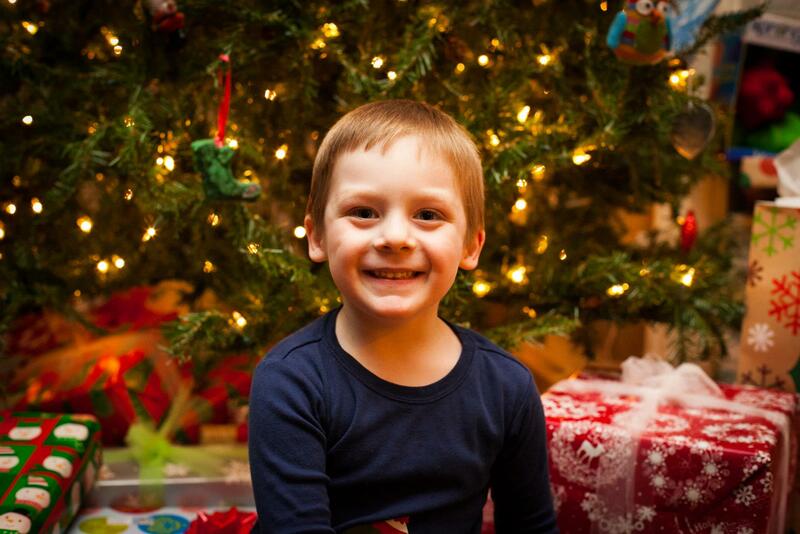 Luke is a little baby angel, and we are enjoying 2 and looking forward to what else this year has in store for him! I love making things and Pinterest has given me so many ideas! I have an entire board devoted to Valentine’s Day, so I was slightly disappointed when Jack insisted on store-bought Ninja Turtle sticker valentines for his friends. But, Luke is too little to care so I made his little friends something cute. All one-year olds I know love Goldfish so I love to use those for treats and parties. 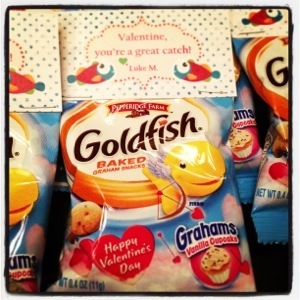 I saw several ideas online, but then I saw these little Valentine packs of Goldfish at Target. They even came in our favorite flavor, vanilla cupcake, so I bought them weeks ago. I love that they are wrapped because I wondered if other moms would be freaked out if I had just opened a bag of crackers and divvied them up into cello bags. Am I the only one that puts this much thought into the simplest things? Seriously, I take way too long to make decisions! I designed these bag toppers using some freebies from A Cherry on Top and Persnickety Prints. Our printer is still out of ink so I sent them to Kinko’s (sorry, but I will always call it that) to print on card stock, cut out and stapled on top of the bag. Luckily, it was a big bag of Goldfish and there are extras because the boys have already gotten into them and can’t stop eating them! Ok, me either. Those vanilla cupcake ones are so addictive! 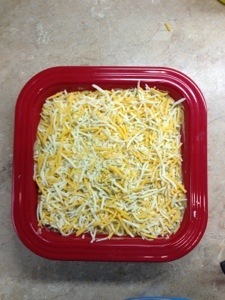 In honor of today’s Superbowl, here is one of our favorite dip recipes. This came from my friend, Olivia. Chris asks her to make it for every watch party and gathering and she finally just gave me the recipe! Which is funny, because he swears he hates beans, but he can eat a whole dish of this stuff! We are having a birthday/Superbowl party for my mom today and this is on the menu! It’s kind of like a mashed up 7-layer dip (minus a couple of layers). Serve with tortilla chips or Fritos Scoops and you’ll be a winner! (He’s a little obsessed with Ninja Turtles right now). I’m already thinking about the boys’ birthday parties even though they are 4 and 5 months away. 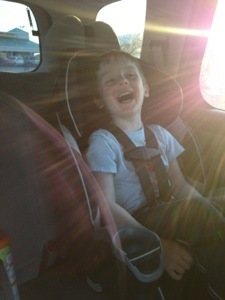 Jack has informed me he wants his at Chuck E. Cheese (AHHH!) and Luke doesn’t know what birthdays are so this should be fun! 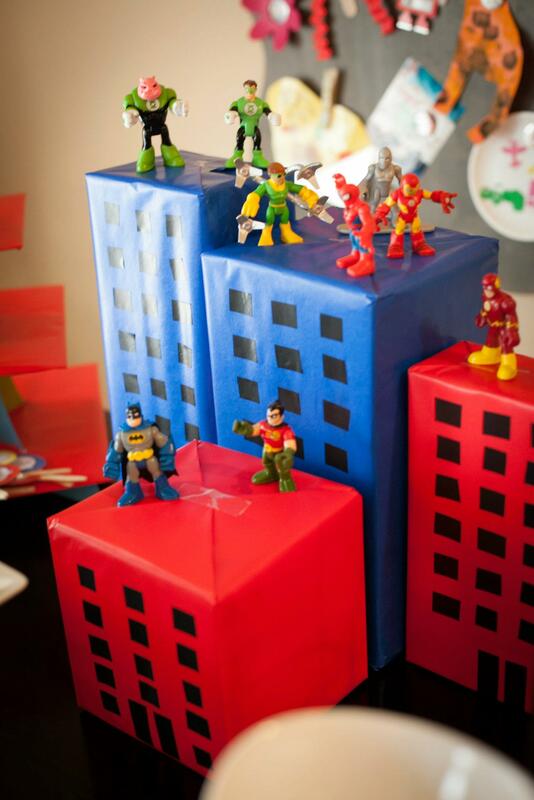 🙂 But, many months ago, as in 7 months ago, I threw a pretty awesome superhero birthday party for the boys. I’ve wanted to post pics, but haven’t made time, much like the dozens of other blog posts I meant to do. 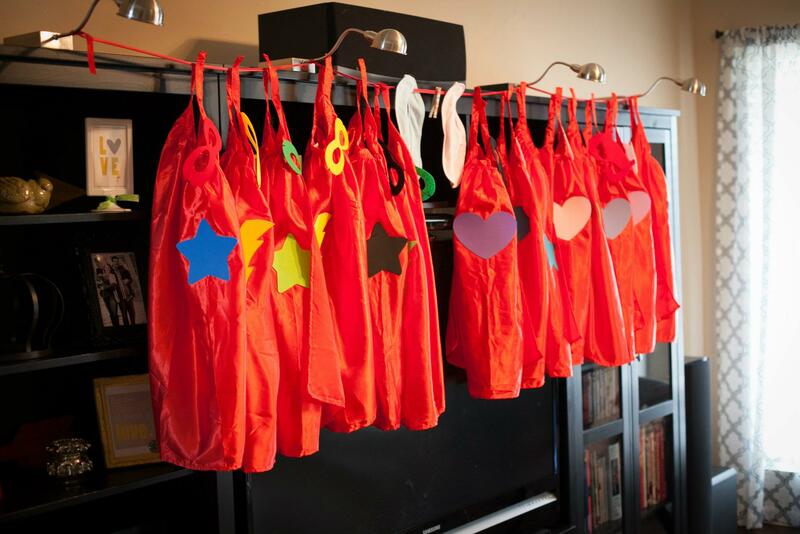 I got lots of my ideas from Pinterest and Etsy and countless web searches, and thought I would share my take on it for other moms out there planning a superhero party! It’s pretty detailed because when I was looking for ideas, I always wanted more details from these posts! All photos by the very talented Chris McCord. The boys are 25 months apart, to the day, so I decided to pick a Saturday in between their days and have a combined party. 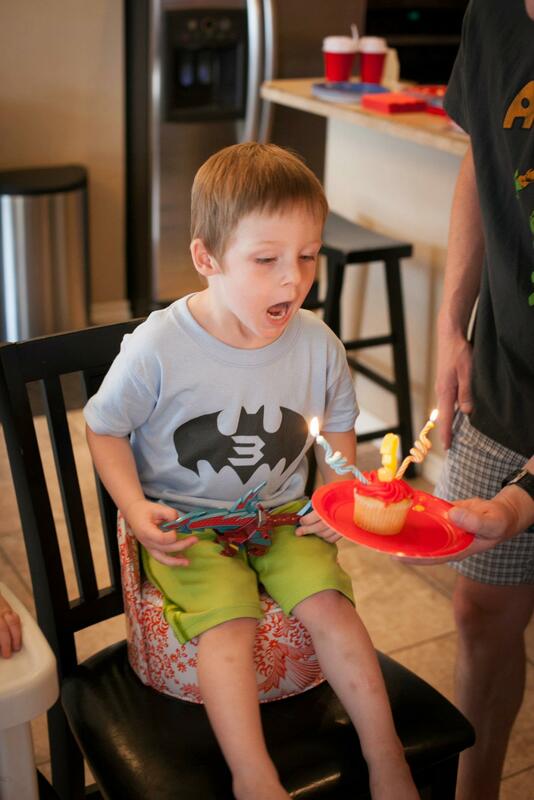 Jack was turning 3 and Luke 1. 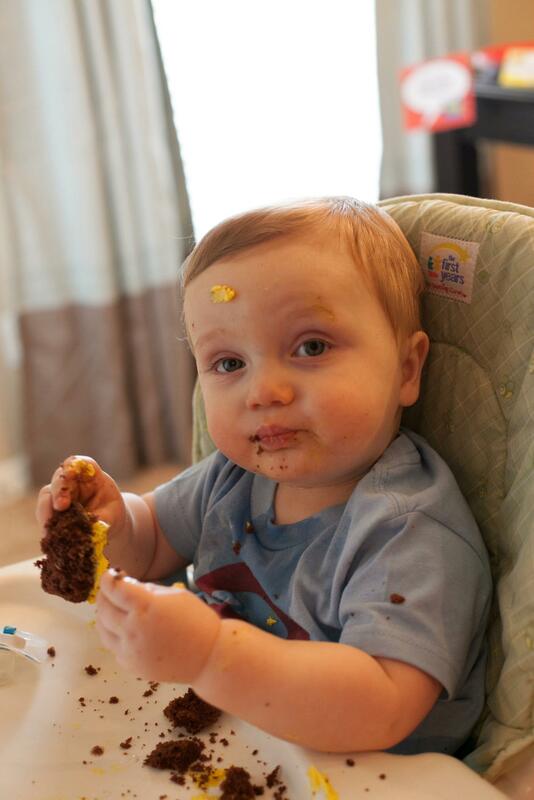 1st birthday parties are most important to the parents, so I didn’t think Luke would mind, and we were going to invite the same people to both parties anyway, so 1 party it was! Jack was major into superheroes, and I thought of the dynamic duo, so the theme was easy. I didn’t want to focus on a single hero, I wanted it to be a broad superhero theme. My talented husband found a template online and used it for the starting point of our invitations. 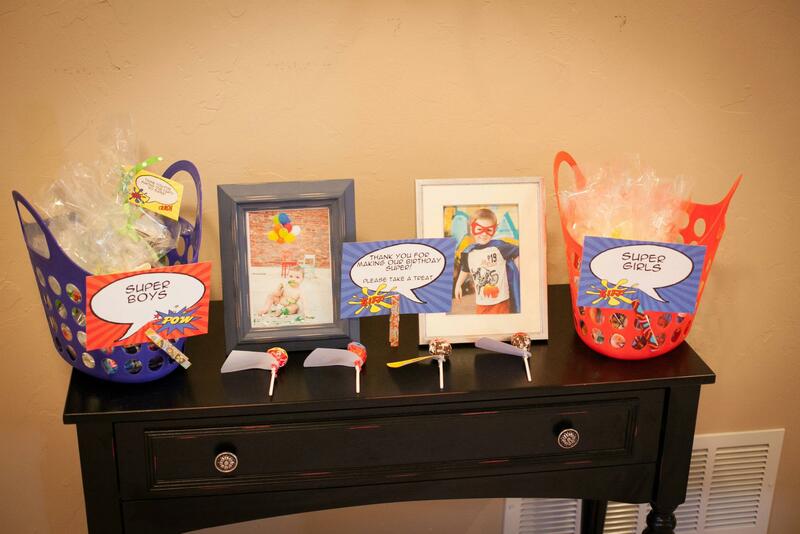 He added the photos, adjusted the text and voila, a super awesome, comic book inspired, superhero party invitation! 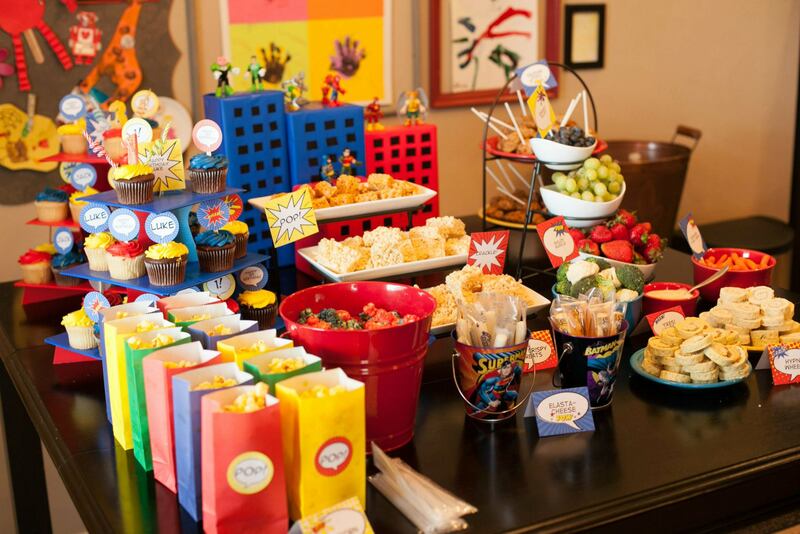 I bought this party pack from SimoneMadeIt on Etsy- it was so awesome because it was an editable PDF file. I could type in whatever text I wanted and print myself. This was great, since my party was for 2 kids. 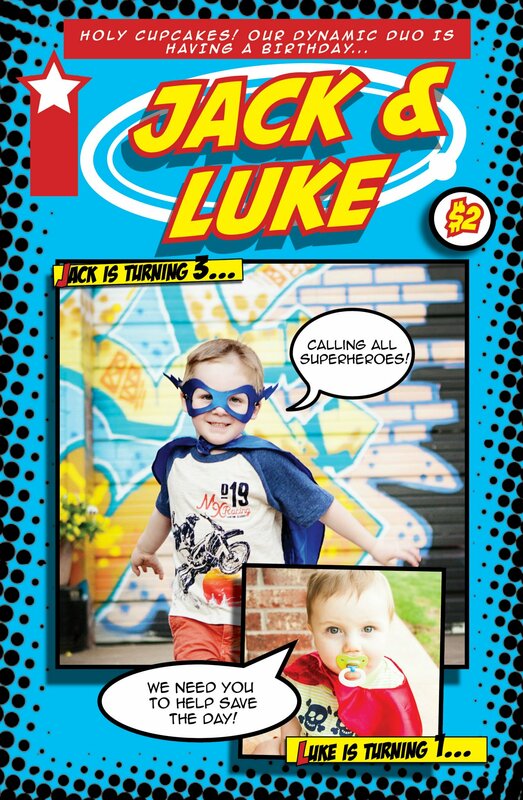 I could run a set of cupcake toppers, etc with Jack’s name and age, then redo it with Luke. It came with a ton of printables- invitation, thank you, various size tags, circles, various wrappers, favor bag toppers, banner, signs, etc. It was a really great deal, considering all the printables and the editing you can do. For decor, we wrapped some empty boxes in red and blue wrapping paper, cut out squares of black electrical tape for windows, and placed some of Jack’s superhero figures on them. We also scattered some of Jack’s larger hero figures around. We also stapled black wrapping paper up to the fence in the backyard and my talented husband painted a skyline on it. It made a perfect photo backdrop! As part of the kids favors, I had capes and masks for everyone. I found the capes in the party section of SuperTarget. They were a steal for $2 each. I bought some sticky back foam, traced shapes like stars, lightning bolts, hearts and flowers, and stuck them on the back to make them super! I bought the masks on Etsy from MyAllyBally. The food might have been my favorite part. I got lots of ideas through my numerous searches. The party was at 10 am because it’s really hot in June in Oklahoma, so I wanted to do it early so we could still play outside. We really just had more snacky foods since it was right between breakfast and lunch. Food all had super names, like Yikes! Fruits & Veggies, SNAP, CRACKLE & POP! Rice Crispy treats, Elasta-Cheese, POP! Corn, Hypno Wheels (pinwheels), Sausage POPs! 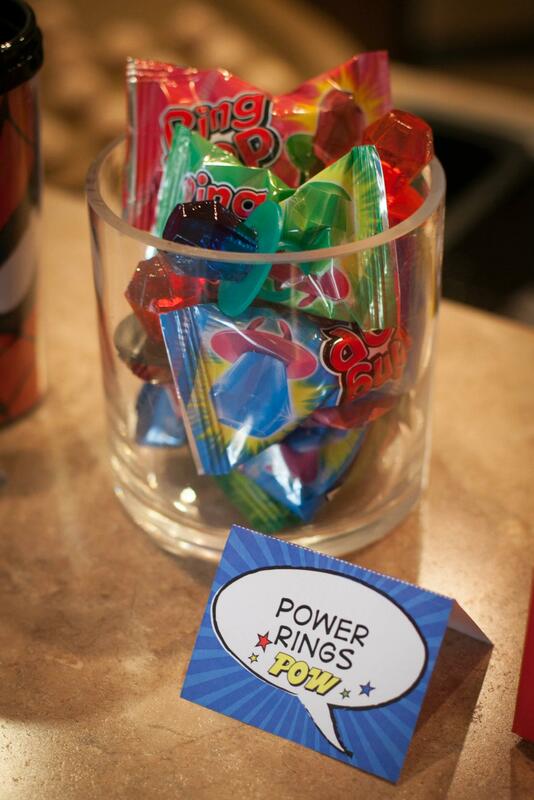 (sausage balls with lollipop sticks), Kryptonite (green rock candy), Power Rings (ring pop), Super Whips (Twizzlers), Power Punch (juice box), Hero Hydrator (water) and Soda POP! The cupcakes were my Sugar Blast! 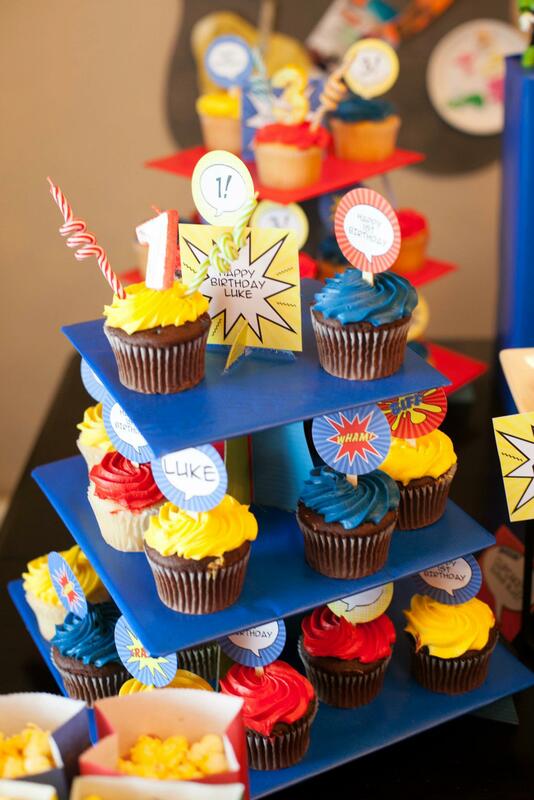 and each boy had a cupcake tower. I just got cupcakes at Wal-Mart with red, yellow and blue icing. We rented a moon bounce from Inflatable Adventures in Yukon. They were so nice and had the best price in town. They ordered an Avengers banner that went on the top of the bouncehouse. Of course, the kids loved bouncing, and it was labeled Leap Tall Buildings in a Single Bound! I also had a few games set up outside. We had Super Breath Blowing (bubbles), Flight School (swings). I froze some little hero figures into a big ice block (idea from here) and the kids shot water guns at them to “Save the Heroes.” We have an open area beside our house, so I dumped a bunch of black and grey balloons over there and the kids had to “diffuse the bombs” by stepping on them. 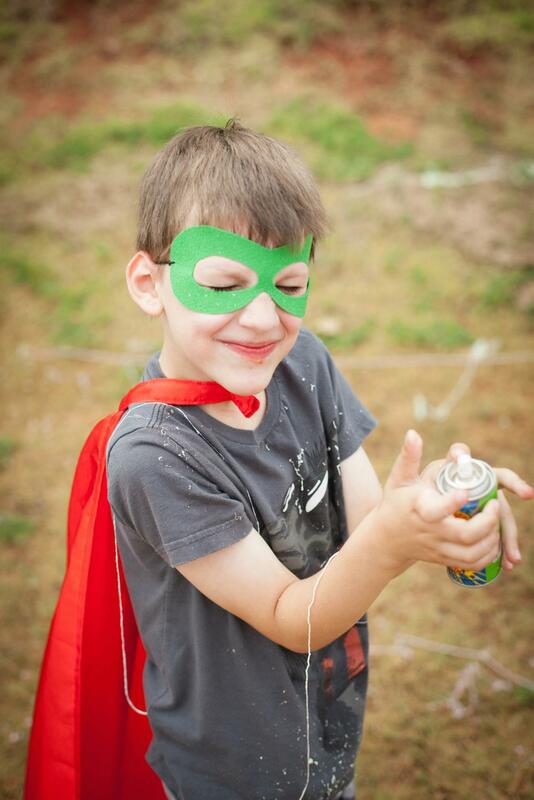 Then I gave them each a can of Silly String so they could “shoot webs.” That might have been the most fun! Besides the capes, I made little favor bags, because I was buying hero stuff like crazy! I found Avengers taffy and candy at the Dollar Tree and stickers, markers and notepads at Michael’s. I also did little superhero pins I found fron GandGButons Etsy. 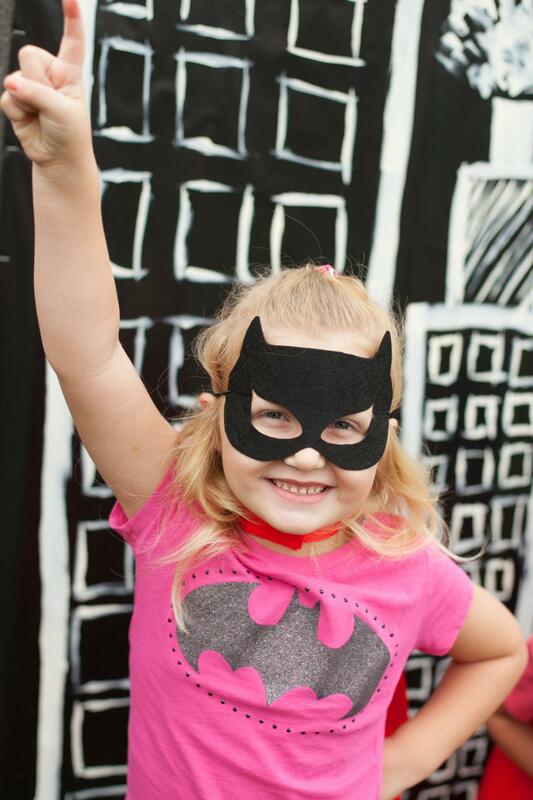 I also made really cute superhero suckers, as seen here (includes printables). I probably spent way too much effort on this, but I love this stuff, and Jack is still talking about his party, so I call it a success! Can’t wait for this year!! So many things have happened in the world lately that really hit home for me. Terrible things that involve children, things that no one can plan or prepare for, or know how to cope with. Unthinkable, unspeakable things that I don’t want to think about and that I have shed many tears over. 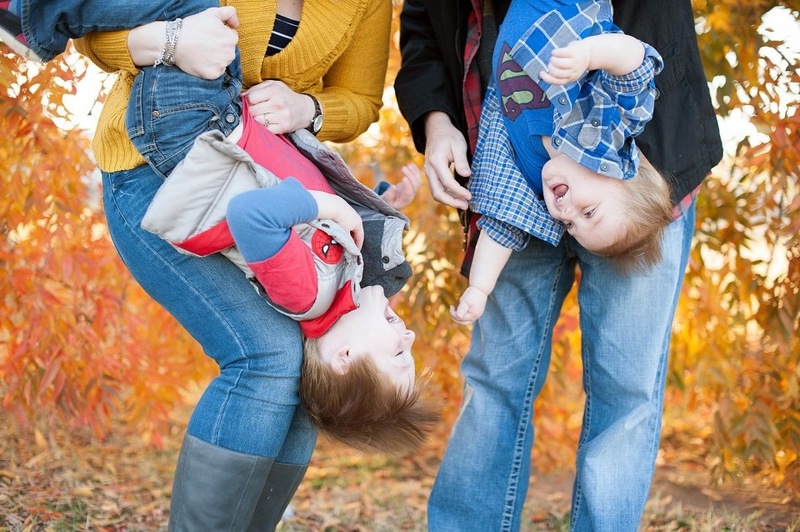 But what I have taken away from it all is that life can change in an instant, and these little boys of mine are so incredibly precious to me and I suddenly have an urge stronger than ever to remember everything about them. I want to remember Luke’s sweet wispy baby hair, how it makes the most gorgeous wings behind his ears, and how it curls up in the back at the nape of his neck. How soft and sweet his chubby cheeks are. How I melt every time he lays his head on me and softly says, “Mama.” The way he carries his Aden + Anais blankets around and calls them all “Mucky”, and how he hollers for his “Wuh-Wuh” (pacifier), even when there is one laying right in front of him. The way he calls for Jack, and you can hear the smile in his voice as soon as he finds him as he excitedly screams “JACK!” The way he climbs into the fridge, stands on the ledge and tries to open the drawer, asking for “Chee” and “muk.” The wonder he had for Christmas and all its decorations, exclaiming “WOW” with each new light display we passed and that one white bow he kept pulling off that one package under the tree, and those ornaments placed so purposefully down low since they were the ones that wouldn’t break when he took them off the tree over and over. The way his little arms feel around my legs when he walks up and give me a spontaneous hug, the way my lip throbs after he head-butts me, as is his way of giving kisses. The way he screams “DOG” each time he spies our dog, and the way he proceeds to pound on the dog’s back, then give him hugs. The way he excitedly makes animal sounds on command, the way his says “Uke” when you ask him his name, and the way he says “mama, dada, mama, dada” when he wakes up. The way he tugs at my hand when he wants to show me something. The way he just quietly wanders in his room and happily plays with toys or looks at books. The way he makes duck sounds, smacks his lips then sticks out his tongue. Most importantly, how much he clearly loves his parents, brother and family. I want to remember Jack’s energy, the way he is always jumping on the couch, or standing on the arm and leaping on the cushions. How much he loves to play the Memory game. The way he always has to take “one toy” in the car with us, and how he runs back into the house for one more, and ends up with 3. The way he sings songs in his high pitched little voice. 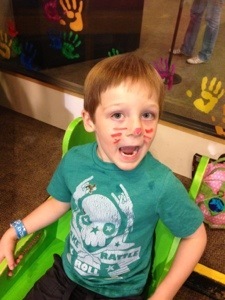 How he tells me he loves me with “all my green heart” and the way he says, “Momma, I love you” for no apparent reason. The way he says “great” when I ask how school was, followed by “play” when I ask what he did. The way he asks me to “tect him from the monsters and bad guys” at bed time. The way he says, “aww, you’re so sweet” or “aww, you’re so cute” in a sweet, sing-songy little way. They way he protests when I call him baby Jack, but how he loves to be held and snuggle on our laps. I want to remember how he hates to share with his brother, but loves “Bukes” so much and always wants to make sure he is included. I want to remember how much he wants to help, his love of chocky milk and puppy muffins and how he surprises me everyday with new words or facts. The way his little laugh sounds, how he likes me to “fly him” like a superhero and how he likes to play XBox with Daddy. The way he still asks me if Santa is bringing him toy, even though Christmas is 11 months away. Most importantly, I want to remember Jack’s sweetness, his kind heart and loving spirit, his vibrancy, his happiness, his love for his momma and daddy, and his Bukes. I am so proud of my boys and of the family that Chris and I have created. These kids are amazing, wonderful little people. They are smart, they are funny, they are beautiful, they are innocent, they are precious and they are mine. They are forgiving and think we are the most incredible people in the world. And we have the greatest job of all- to teach them, to show them, to guide them, to mold them and to love them. Which we do, immensely. Jack was really excited about Halloween this year. This was the first year he told us what he wanted to be. It changed daily- a Power Ranger, a Transformer, a superhero…but when it was time to pick one, he chose the gold ranger, Antonio. 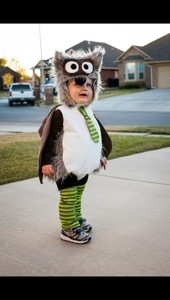 I guessed this was the last year I would get to pick Luke’s costume so he was an owl. A ridiculously cute, fluffy owl. Jack was a fantastic trick-or-treater. He identified himself (“I’m Antonio! 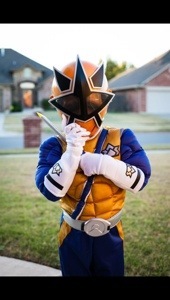 I’m the gold ranger! ), and the rest of our group (“that’s my cousin Eli- he’s the green ranger. And that’s my mommy, and my daddy, and that’s my brother..”). He only took one piece (unless he was offered more), he was polite (thank you!) and he really wanted to know his hosts (“is this your house? What’s your name? Who are you? 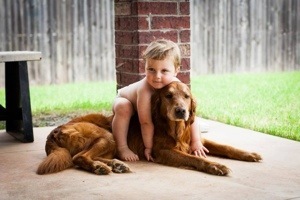 Is that your dog?”). It took quite a while at each house, with Jack and all his questions, so after about a dozen or so houses, he was pretty done. 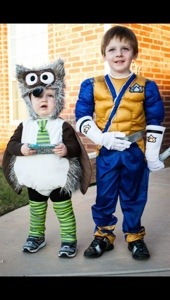 Jack had so much fun dressing as one of his favorite characters, and walking around his cousin Eli’s neighborhood. I love Halloween and seeing all the cute costumes. My boys were definitely the cutest! Luke is 16 months old. At his 15 mo checkup, he was in the 100th percentile across the board- he’s a giant baby! 29.2 lbs and 34.5″ long. More to love! He runs/walks all over the place. I have lost at least 5 lbs since he started walking this summer and I still can’t keep up with him. He loves to get into the pantry- he often brings me boxes of muffin mixes, oatmeal and the bottle of syrup. Maybe he wants to bake, or maybe he’s just curious. He has recently started climbing on the couch. He thinks he is so big, and just laughs and laughs. I’m a wreck about it because I’m terrified he will fall off! I can’t leave him alone in the living room because he climbs. And gets really mad when I tell him no or try to redirect. He has started throwing tantrums- like sit on the floor, kick his feet, scream tantrums- I thought we had a little more time before this started! He loves to go outside. Actually, he can open doors so we have to keep them locked all the time. He gets really mad when they are locked and he can’t escape! He loves to go in the backyard and jump on the little trampoline, get in the Cozy Coupe, climb the slide or swing. Lately, he’s been watching jack hit the baseball, so he has started putting the ball on the tee and hitting it. Pretty smart of him and pretty cute. If you say 1, he says 2, you say 3, he says 4. Luke is a dancing fool. As soon as he hears music, he waves his hand up and down, like a conductor. Then he starts bending at the knees. Then his head starts bobbing. He has so moves. He also frequently dances, even when there is no music. He loves Elmo, iPhones, Yo Gabba Gabba, balls, books, music, Mippy (our dog), banging on things and pressing buttons. He loves jack and has his own way of saying Jack- kind if like (Jah) but he says it the same way everytime. Lately, they have really started to interact with each other and i absolutely love watching them play. I still hope they will be best friends. Luke (clearly) loves to eat and knows exactly what he wants. He knows where most snacks and foods are stored and he points and whines. As soon as you pull the right choice out, he smiles and runs to the table. He can communicate very well for someone with such a limited vocabulary. He continues to brighten our days, as he is totally charming and adorable. We love Baby Luke! PS- I wrote this when he was 15 months and never posted so I updated it. It is amazing how much he changed in just a month- more words, more tricks and more favorite things.